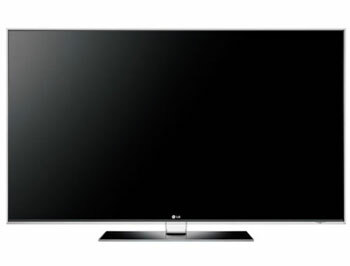 The Infinia is LG's new generation of full LED LCD HDTVs, and the 55LE9500 with a 55 inch screen is its top of the line model. This 3D ready TV has a cabinet depth of just .92 inches and an 0.85cm bezel. The 55 inch display also supports the locally dim up to 240 addressable segments thus promising deeper blacks and improved picture contrast. This set also features an industry leading refresh rate of 480 Hz promising exceptionally smooth and clear pictures and a truly immersive 3D experience.